Rendering of Victor, a multifamily tower being developed by Hines in Dallas. 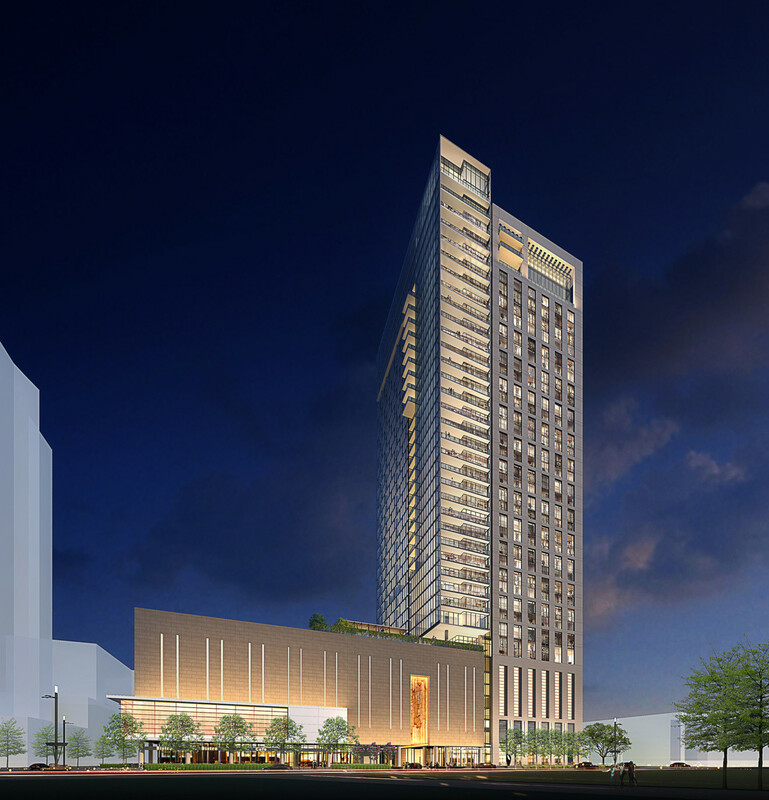 DALLAS – (Realty News Report) – Hines will develop a 39-story, 344-unit apartment tower in the 75-acre Victory Park project developed by Hillwood near downtown Dallas. The 500,000-SF residential building, called The Victor, will be built across the street from American Airlines Center arena. The building, which will include 10,000-SF of retail, was designed by Munoz + Albin, a Houston architecture firm. “As a partner in the development of One Victory Park office tower, Hines has enjoyed its involvement with Victory Park and we look forward to committing more capital in the area,” said Ben Brewer, managing director. While modern in its origins, The Victor will depart from the strict rigor of modernism to create undeniably welcoming and livable spaces. Each single-level floor plan will be spacious and light-filled, featuring 10-foot ceilings and private balconies. “Our work has been largely influenced by the thriving Dallas arts and culture scene and we have introduced a number of commissioned pieces as a means to experience the work of local and international artists within the framework public living space,” said Eric Ragni AIA, Principal of Houston-based MaRS, the project’s interior architect. The building’s 18 penthouse residences, on levels 37 through 39, will range in size from 1,800 to 3,000 square feet.